Every underwriter for will also have their logo added to our sponsors gallery, as seen below. 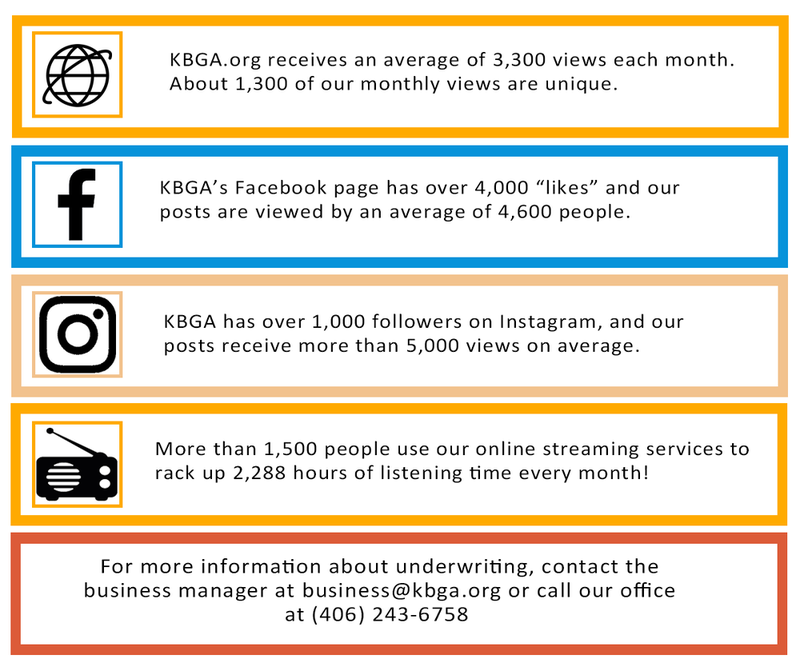 KBGA College Radio relies on support from our community! We apply underwriting funds to every part of our station. Please contact Audrey Daniel, our business manager to explore our many underwriting options.